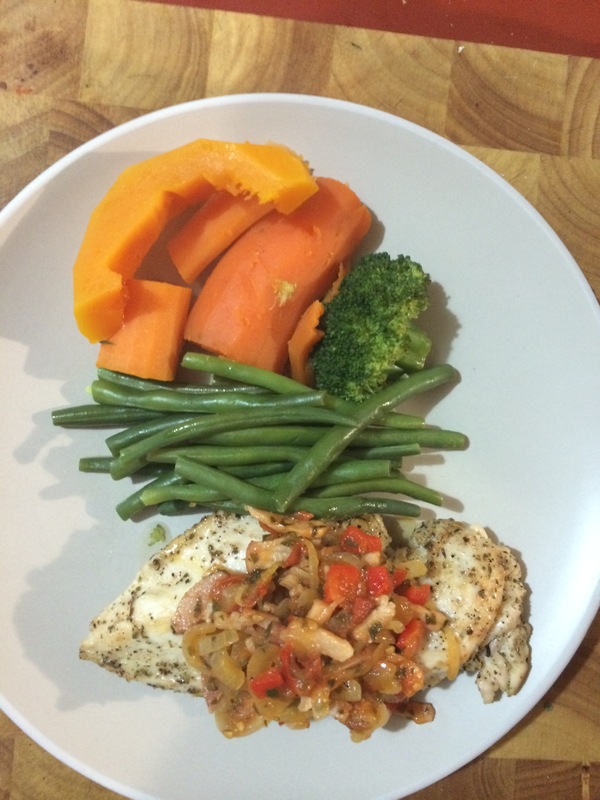 While it was a simple dish to complete, it was by no means lacking in flavour or tastiness. I changed a part of the recipe because we had no pasta sauce in the house, but to be honest I think it would have been too strong a flavour if it had been on the plate. Place all ingredients (not toppings) in to a container and coat chicken with all spices. Seal chicken breast for 2-3min on each side and then bake in the over until cooked (around 10 minutes, depending on the thickness of the chicken). Chop all toppings and place in fry pan and fry until cooked. It’s that easy. Serve with your choice of salad or vegetables. I had mine with some brocoli, sweet potatoe, carrot and beans. So I am having a pizza for dinner tonight! YUM! 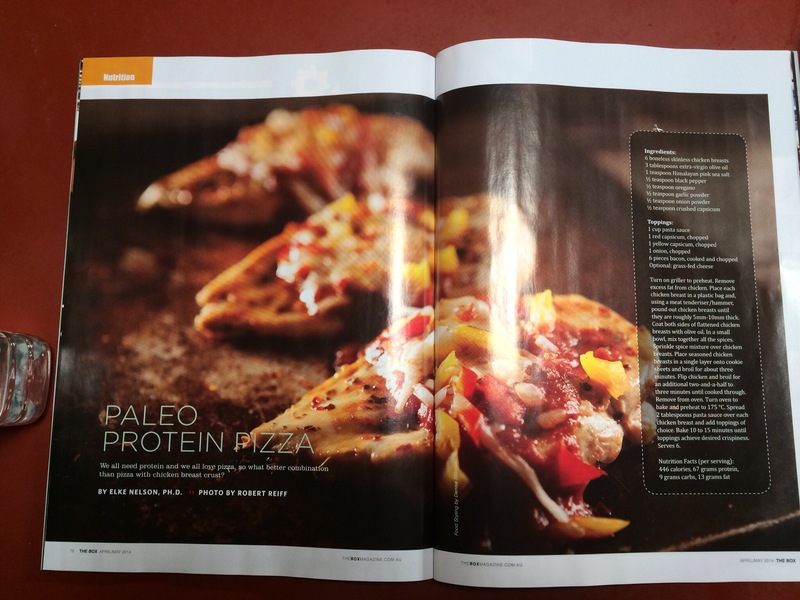 But, it isn’t what you think as it is a Paleo pizza. It isn’t anything over the top crazy to make, but I have a feeling it is going to be delicious. I’ll post the recipe (which is from The Box, Australia’s Crossfit magazine) and a photo of the finished product later today once I’ve cooked it all up.